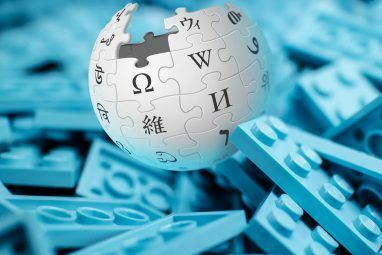 Wikipedia The Origins of Wikipedia: How It Came To Be [Geek History Lesson] The Origins of Wikipedia: How It Came To Be [Geek History Lesson] Read More gets its name from two different words: “wiki” and “encyclopedia”. The encyclopedia portion of the name completely makes sense, but what about the wiki part? Like forums, subreddits, and blogs, a wiki is just another form of a website designed to help users easily format their content. You probably have a practical understanding of how Wikipedia works. To sum it all up, anyone can edit the information on a page, and they can do this quite quickly (which is also what the word “wiki” translates to in Hawaiian). These are the basic mechanics of how a wiki generally works, and Wikipedia just so happens to use it for their online encyclopedia. However, there are plenty of other purposes for this type of site. I’m here to offer a few suggestions for offbeat ways to use your own wikis. Here at MakeUseOf, we actively use a wiki system for the organization of article titles, sections, and writers. I won’t go into too much detail (for sake of some company privacy), but wiki software is essential to our productivity. A method that we use is something commonly called “idea keeping”. 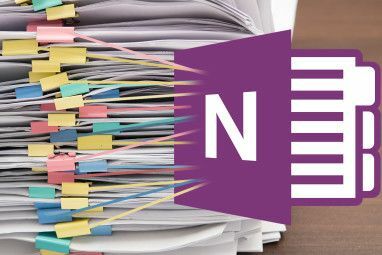 That is, we store article titles that we want to use over time on one page, and this helps in two ways. One, it helps keep the ideas fresh on our minds, and two, it allows us to publicly claim the title so no other author will end up writing the same exact thing accidentally. There are other ways you could use wikis for team organization besides this. For instance, you could post all of your employee’s email addresses on one page for internal business usage. Even better, company policies and the chain of command could also be listed on another section of the wiki. 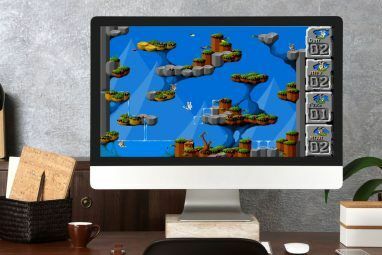 Ultimately, it can be the go-to resource for all of your business’ needs, and since anyone has the capability to edit content (with certain permissions), it’s perfect for a fluid online workspace. So we’ve laid out the possibilities for your team and business. What about specific projects that need to be completed? Here’s how I would do it. First, I would create a master page devoted to the entirety of the project that lists all of the steps and phases that need to done. Then I would create pages for each step or phase that describes them in detail or even breaks them down into smaller steps. Just as an example, you can quickly set up a collaborative wiki with the Project wiki template on Google Sites. If you’re working on the project yourself, you’ll have an easy cheat sheet to refer to when you get to a stopping point and simply do not know what to do next. However, if you’re working with a team, everyone who is assigned to a certain step will have a clear page that they can reference. Furthermore, with the universal ability to edit documents, your project management Use Excel & Google Tasks to Create the Best Goals Management Tool Ever Use Excel & Google Tasks to Create the Best Goals Management Tool Ever Lately, I've started to realize that I'm working very hard, but if someone asked me whether or not I feel that I'm working toward a larger purpose, I'd have to say that I really don't... Read More will have a much smoother flow. College students, you’re not as organized as you think you are. Sure, your planner is full of homework assignments, and your iCal app doesn’t have a single free date. However, you probably still forget things, right? With a personal wiki, you can create pages that provide links to resourceful study materials, files your professor has uploaded, and details about homework assignments. Personally, I would create a page for each subject, and on each page I would put in an individual subheading for the following items: Class Calendar, Homework Assignments, Study Materials, and Classmate Contact Info. Most of this information can be found at the beginning of the semester in your professors’ syllabi, but it will take some discipline on your part to write it all down. For the class calendar, you can put in lecture topics for various days as well as important test dates, and homework assignments can be either added according to the syllabus or as you go. Study materials can include references for key pages in your textbook and links to relevant material, and the classmate contact info can help you remember the person to turn to when you are in a bind. Alternatively, it would be a wise move to get together with several classmates to work together on this type of wiki. Since everyone has access to the material, you can all update each other and keep the content fresh. For instance, if one person finds a good study resource, they can add it to the designated section for others to use. Granted, this would have to be a wiki for an individual class rather than one that goes across multiple subjects. WikiSpaces is well known as a collaborative learning and teaching platform built on a wiki. Browser bookmarks and contact managers are sooo out. Psh. Instead, you can create a personal wiki for you and your team that provides links to websites and information for your various resources. Let’s say you have a business that operates all over the country, and you occasionally host events to invite potential customers for marketing purposes. With a wiki, you can create a page that provides links and contact details for various party planning and rental companies according to their geographical location. This wouldn’t necessarily be a common use, but it’s worth knowing about. In fact, you could apply it to your own personal usage however you want. As an added perk, as members of your team find more resources, they can instantly contribute to the wiki. Who says you need multiple people to use a wiki? Sure, it’s a little unorthodox, but you could actually use a wiki to keep all of your personal resources in order like phone numbers, events, reminders, etc… On a more practical note, I would recommend doing this with specific projects and a summary of each one. 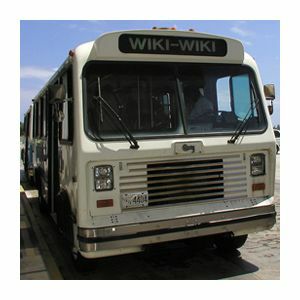 What other uses can you think of for wikis? Are you already a customized wiki user? Explore more about: Wiki, Wikipedia. I was surprised by this article. I thought a lot of people would already do this. I use my wiki for any computer related data I stumble across...the first thing I do when installing a new distro is fire up the browser and point it at my wiki. I'd be lost without it. Wiki structure works well for me. I have pages for my published works, unfinished articles, poems, stories, idea, journal, and even bits of interesting information that might aid my writing. I used to adore Wiki-on-a-stick, until Firefox upgrade breaks the save functionality yet again. It was a good project, but now has the abandoned feeling that I can't help but decide it's time to move on. Most personal wiki software I've tried is either too cluttered or too lackluster. You have any suggestion? I'm on Windows, but cross-platform is preferred (especially with Linux), and due to the personal nature I want it local. Before anyone tries, Evernote and other everything bucket kinds of softwares are overkill to my needs. Totally agree about a wiki being even just for you! When I come across obscure IT issues and figure out how to fix them, I want to record it somewhere that will always be available to me. A wiki can do that for me, as well as catagorize the issue, remedy, and any other resources I might need.